Sunday, April 28 | 5:00 p.m. to 7:30 p.m.
ON THE MAP tells the against-all-odds story of Maccabi Tel Aviv's 1977 European Championship, which took place at a time when the Middle East was still reeling from the 1973 Yom Kippur War, the 1972 Olympic massacre at Munich, and the 1976 hijacking of an Air France flight from Tel Aviv. Through the lens of sports, ON THE MAP presents a much broader story of how one team captured the heart of a nation amid domestic turmoil and the global machinations of the Cold War. 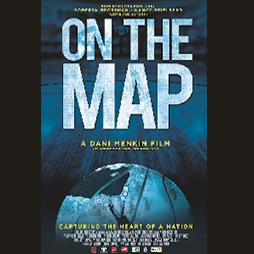 Screening followed by a discussion with director Dani Menkin.